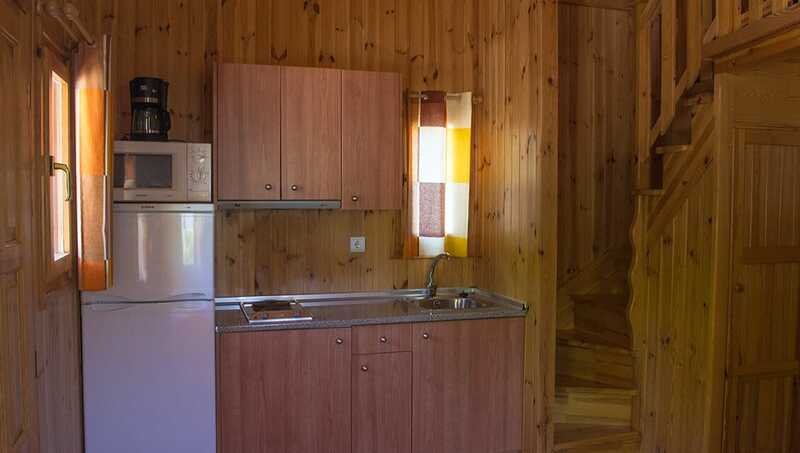 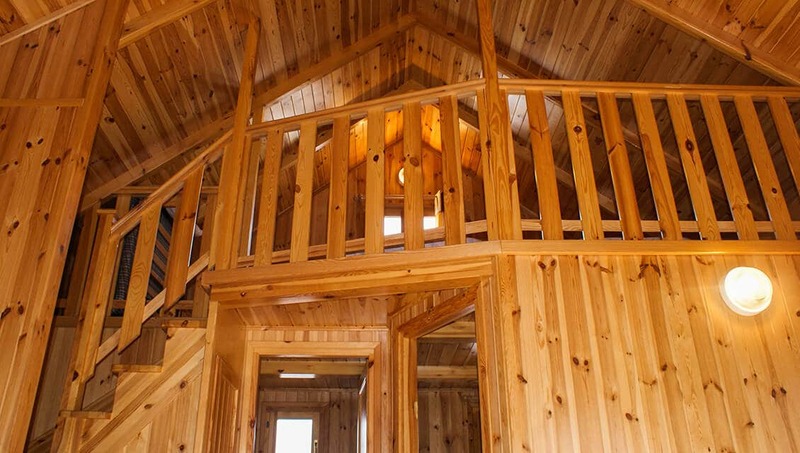 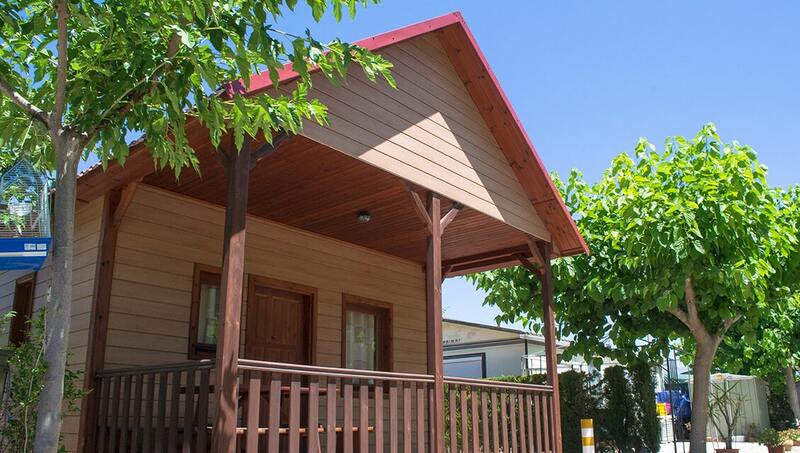 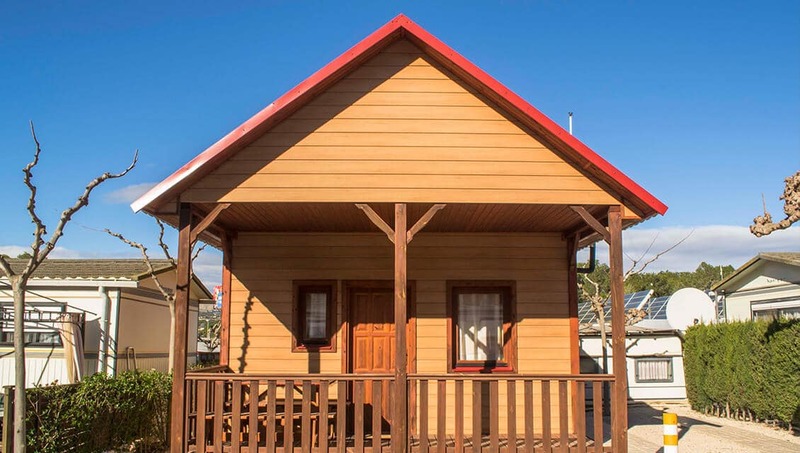 The Bungalow Superior is a wooden cabin with a maximum capacity of 4 people with a special charm that includes a loft. 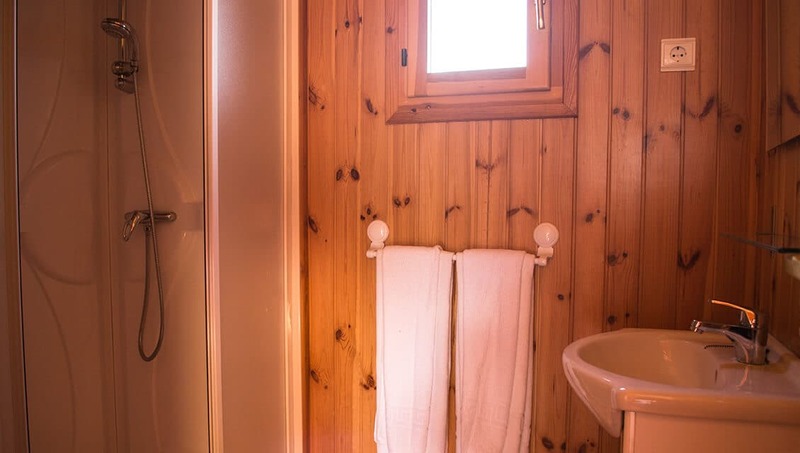 At the entrance there is the living room with international TV and the kitchen in the same space, we also find the access to the bedroom with the double bed and the toilet with shower. 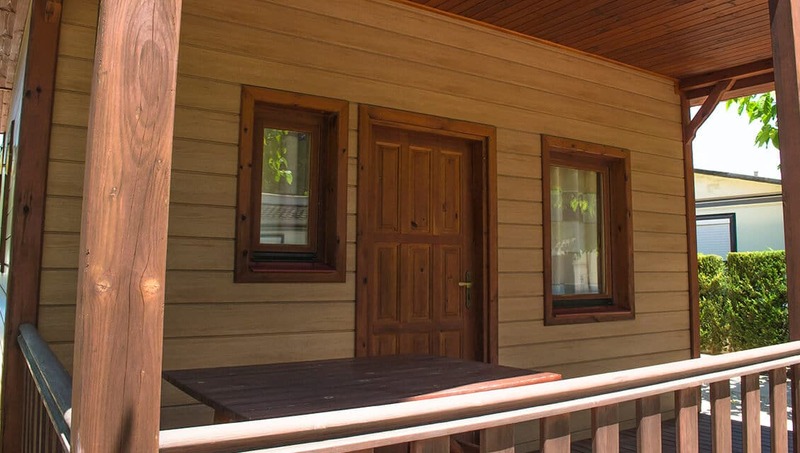 On the outside there is a small terrace with a picnic bench. 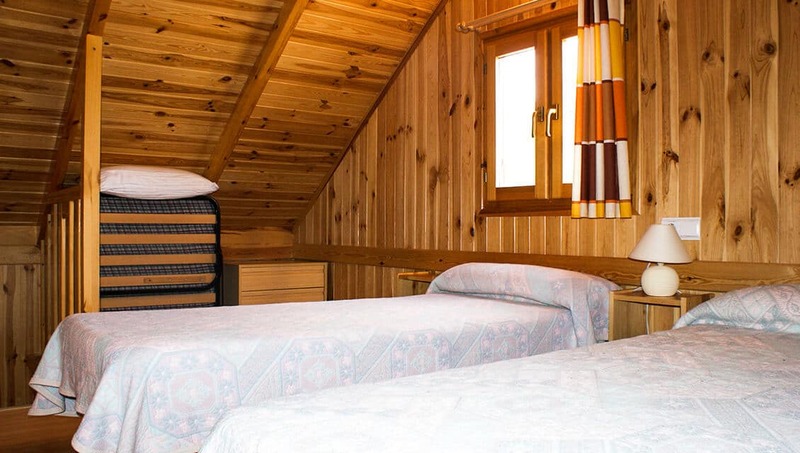 In the attic there are two single beds, accessed by the central staircase and is an open space, overlooking the ground floor. 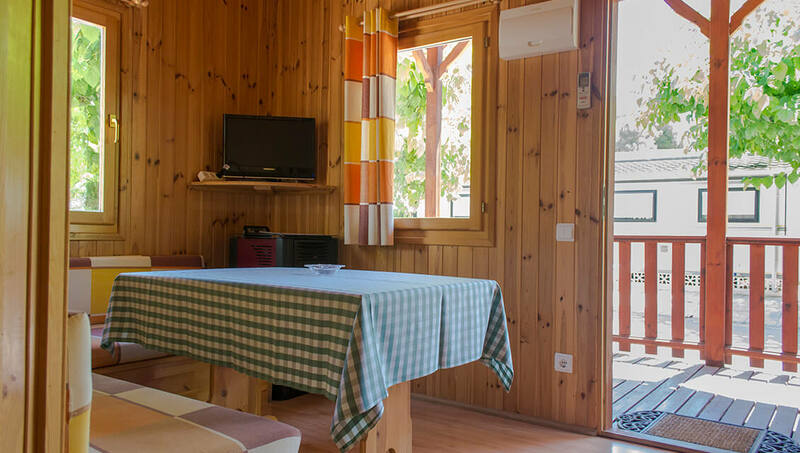 You can find discounts for the Bungalow Superior on the offers page .